Come stay in this unique setting nestled deep in the Piney Woods of East Texas and experience for yourself the cold & clear rock lined spring fed pond which has fascinated visitors to the area for well over a century. Whether you’re looking for a winter warm-up or a shady summer retreat, you’ll discover an inviting environment at Camp Tonkawa Springs RV Park. 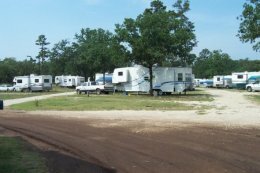 Camp Tonkawa Springs offers modern RV facilities and camp sites and welcomes solo travelers, small groups and RV Clubs alike. Our visitors appreciate our “off the beaten path” location under the lush canopy of Texas pine. Our modern facilities, which include a covered pavilion and recreation halls, offer ample space for activities of all kinds. 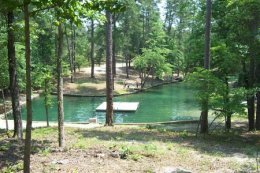 We’re located in the tranquil Piney Woods of East Texas, where our clear, spring fed pond keeps visitors coming back again and again to experience the refreshment of a “dip in the springs.” People have been coming here for more than 100 years, and through the years various owners have done what they could to protect the serenity of the environment. 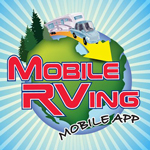 Before becoming a destination RV park in 2001, the camp had a varied and colorful history. 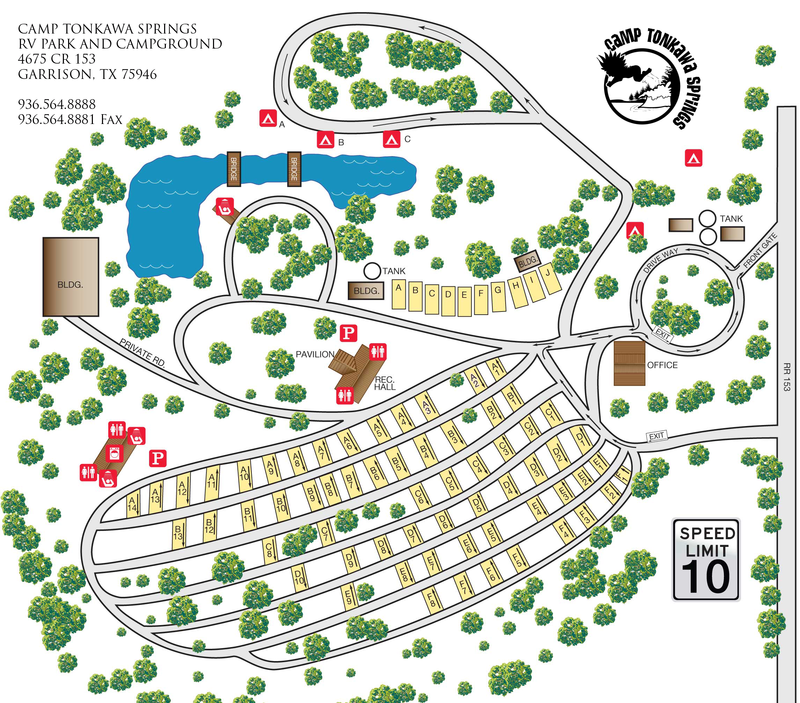 (About Camp Tonkawa Springs) Today, visitors travel year round to enjoy the majesty of the tall pines and starry skies of the Lone Star State from the comfortable surroundings of Camp Tonkawa Springs. Recreation or relaxation: it’s completely up to you. Whether your perfect afternoon is a nap in the shade, a deep forest walk, or a rejuvenating swim, you’ll find it here. And don’t be surprised to find an impromptu game of volleyball or a rousing horseshoe match going on among friends. Our guests find a little friendly competition to be just part of the allure of a trip to our park. In native language Tonkawa means “They all stay together,” and that’s the family friendly environment you’ll find here in East Texas. And for those interested in a little sightseeing, there’s more to do than just relax at the park. Nearby Nacodogches is the “Oldest Town in Texas,” a perfect getaway for some antique hunting, a stroll round a quaint town square, or some traditional Texas fare at one of many enticing restaurants.